Many legends return tonight, including Austin. How high are the years when he was the face of the show? Nostalgia will be all over the place tonight as superstars past and present gather to celebrate 25 years of Monday Night RAW. Since its maiden broadcast at the Manhattan Center in 1993, the show that transformed the wrestling industry has had its ups and downs. 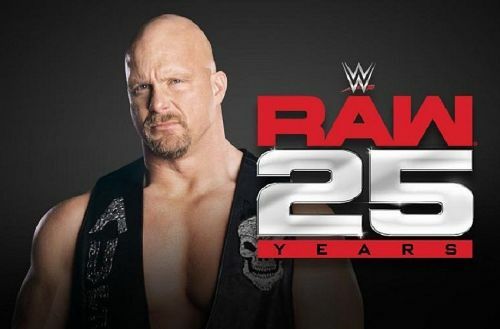 Revolutionary at its best and unwatchable at its worst, the 25 years of WWE RAW have been as much of a roller coaster as each broadcast. What years were the best to watch on Monday nights? What years were the worst? 2009 was without question the nadir of Monday Night RAW. WWE's obsession with mainstream recognition gave fans the worst of its pandering, as each week audiences were subjected to one meandering guest host after another. Johnny Damon is highlighted here as a particular failure, but he's only one of a legion of them. With these segments and few memorable feuds or matches that come to mind, it's hard indeed to argue any other year is worse. 5 greatest matches of "The Attitude Era"